I find this an interesting contrast to what takes place in politics. In politics, instead of admitting that you’re wrong, you just try to spin things until it seems like you’re right. That’s why positions are so hardened that it’s impossible to come to agreement. 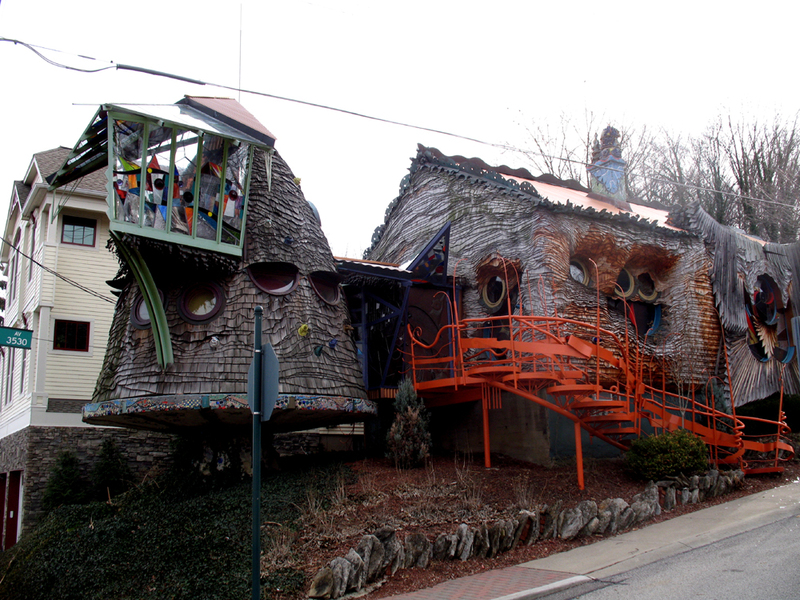 Mushroom House in Hyde Park for sale! They’re asking $349,000. I guess I’m a little late to the game on this one since it’s been on sale since the beginning of the month and has gotten some national coverage. This is the true, inside story of NeXT from the viewpoint of a company executive who worked with Steve for five years. He spent almost 100 hours with him, most of it alone on the way to and from numerous Wall St. customer meetings. I don’t know if this is any good or not, but it’s about Steve Jobs and it’s free. ESPN’s 8 minute short film of Pete Rose’s daily life signing autographs in Las Vegas. Pretty sad. Listening to Adam Savage of Mythbusters obsess over the details in the creation of his replica Zorg Industries ZF-1, reminds me that passion is what makes things great. Another World Order video- always creative and entertaining.